I was fortunate that my parents raised me in a home where dogs were always very much an integral part of our family. It was therefore a given certainty that when I got married and moved into a home of my own dogs would also be a major part of our own family. Being a huge advocate of the philosophy “Adopt – Don’t Shop” my husband and I immediately started searching for our fur babies with SAFE. Inc (Saving Animals From Euthanasia) as this is the rescue agency that my parents had adopted their dogs through. 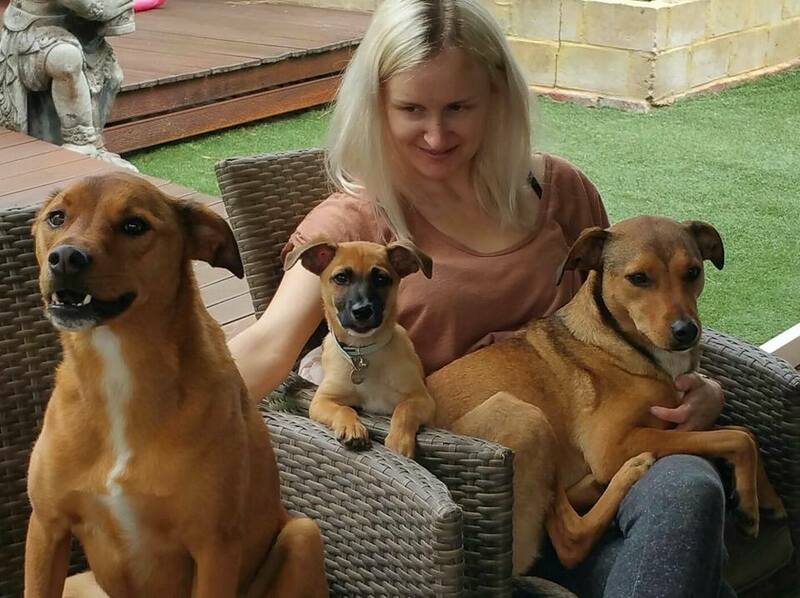 In 2014 we ended up adopting two dogs, a brother and sister from the same litter via SAFE Newman called Ruby and Bolt. Ruby and Bolt have been an amazing addition to our family and they have enriched our lives immensely. In 2017 my husband and I welcomed our son Nate to our family. Any negative thoughts of how Ruby and Bolt would react to Nate were immediately dispelled. After a brief moment of sniffing him, Ruby and Bolt immediately began to cover Nate with big sloppy kisses. Nate is now 8 months old and Ruby and Bolt are his constant companions and best friends. They snuggle up beside him when he is playing with his toys, lay beside his cot when he is sleeping and shadow his every movement now that he is starting to crawl. Our lives would not be the same without Ruby and Bolt being part of it.